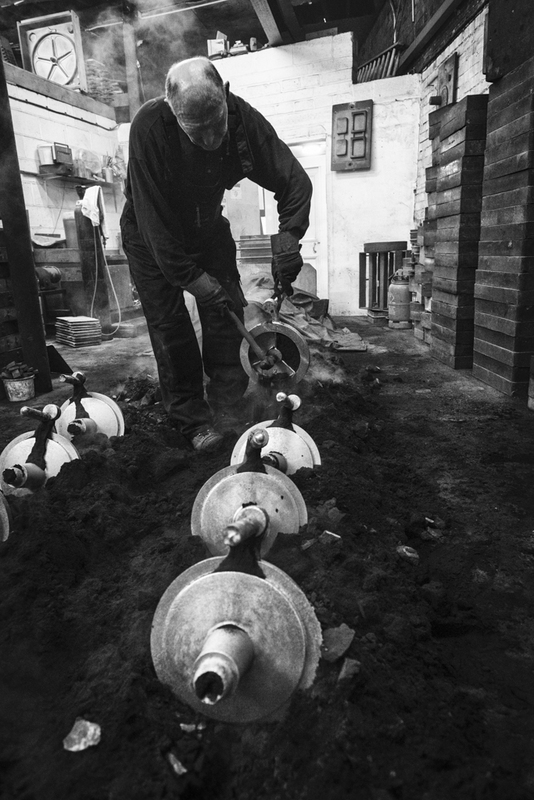 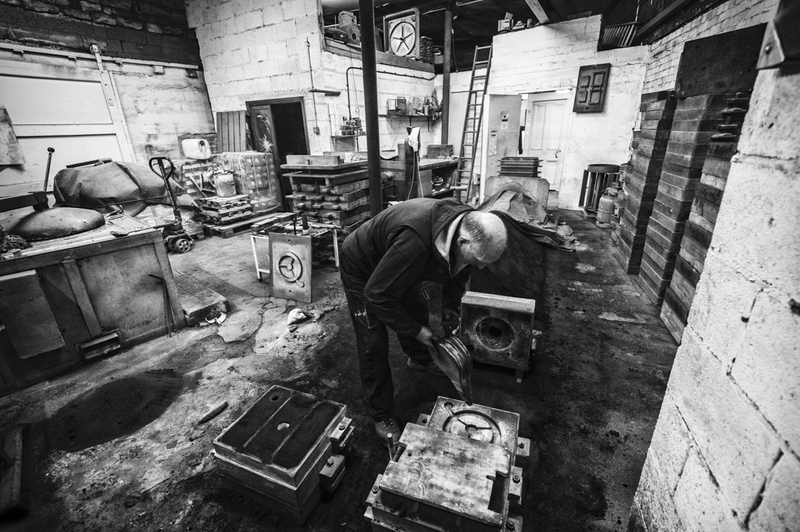 Keith has been a foundryman all his life. 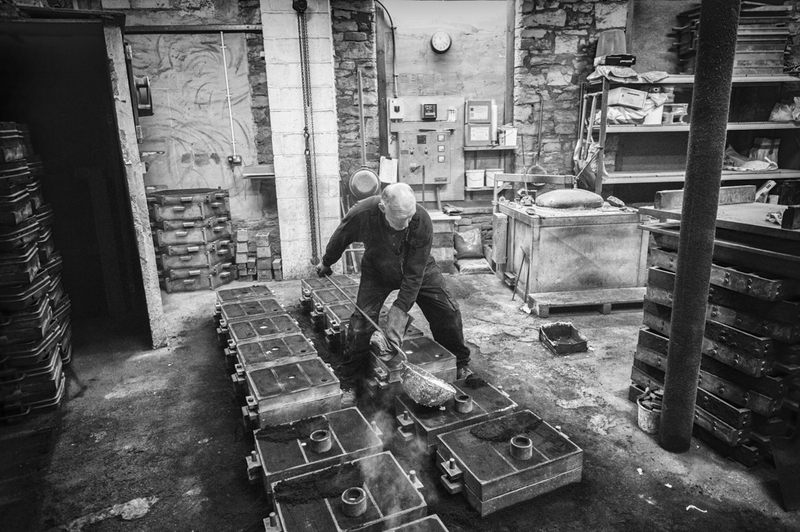 He started as an apprentice and over the course of his career across various companies, he worked his way up to be the managing director of a business. 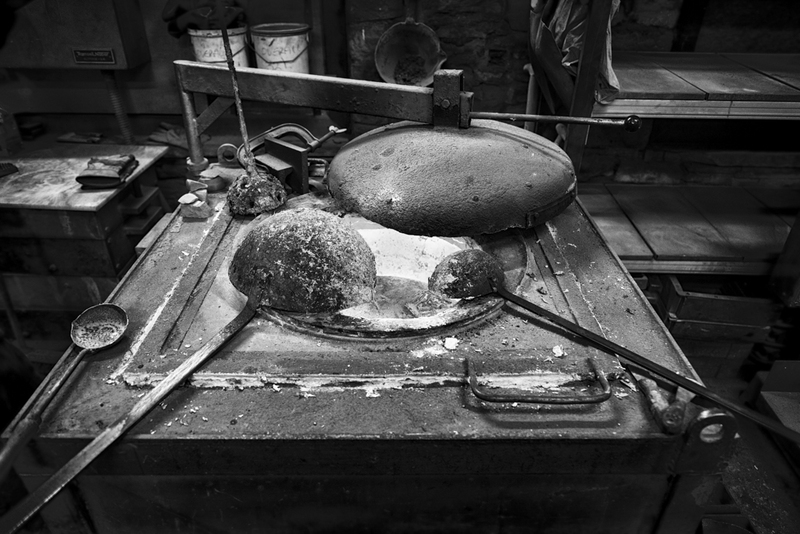 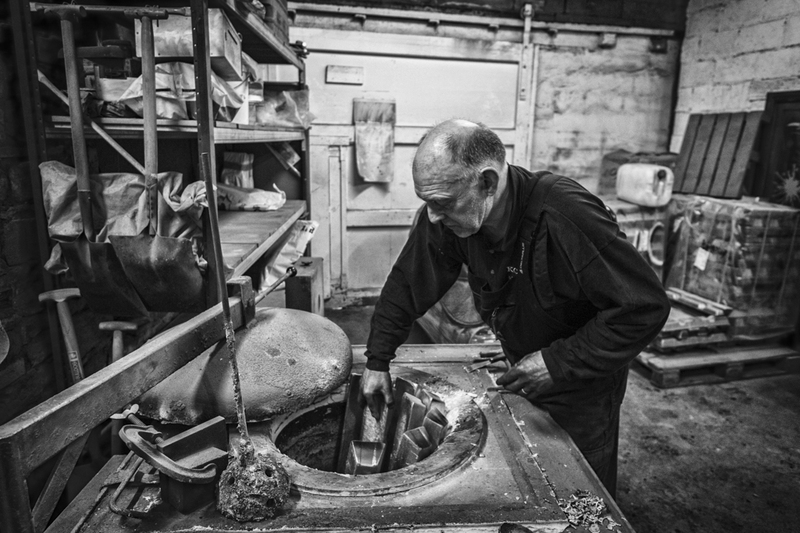 When that closed he couldn’t contemplate retirement, so he set up his own little one man foundry in what used to be a recording studio in an old mill. 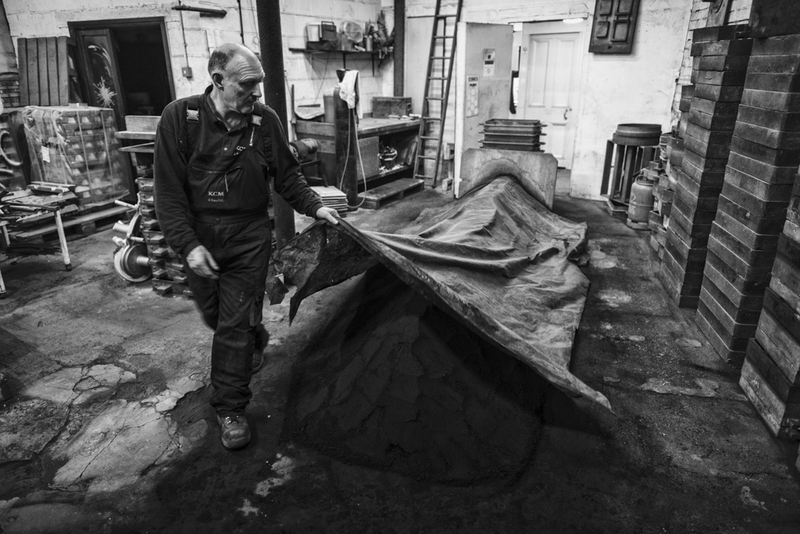 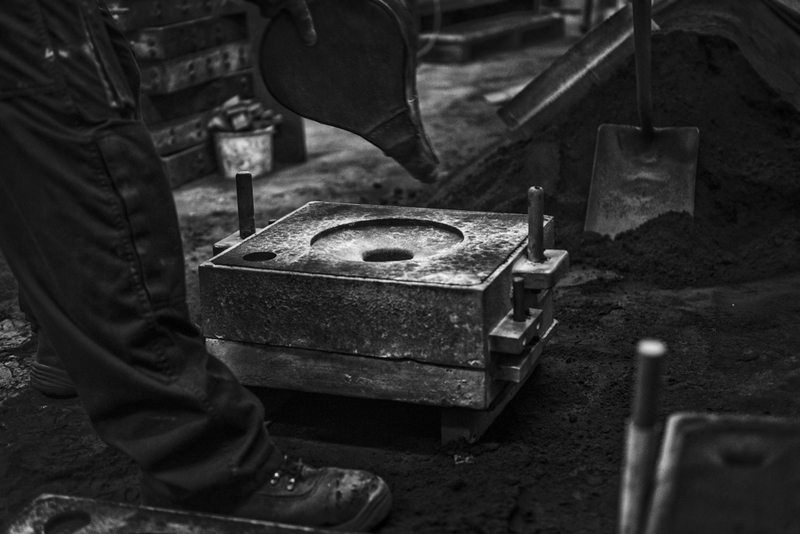 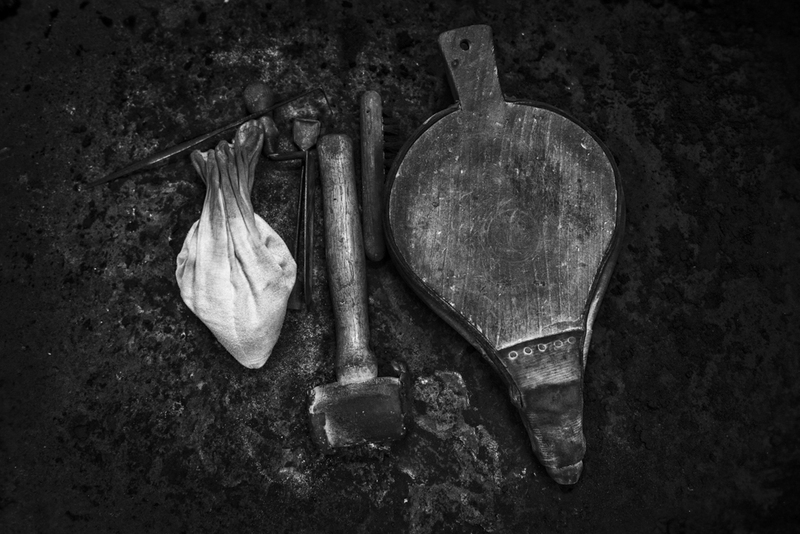 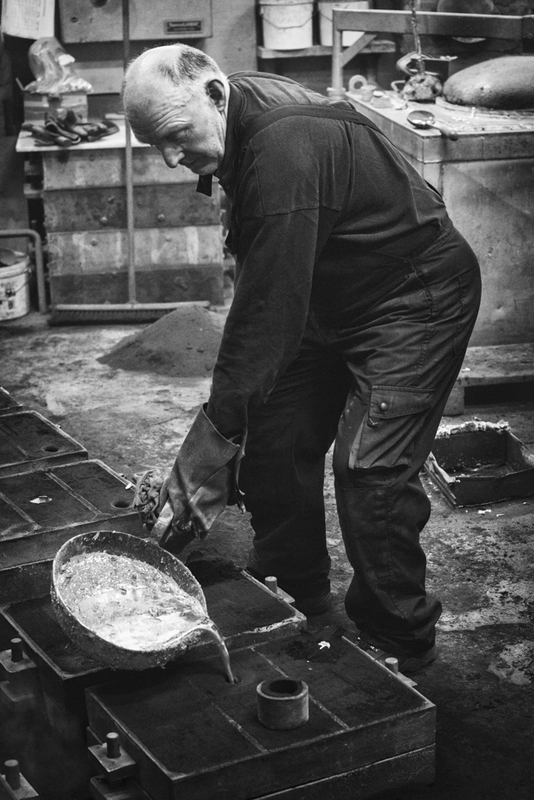 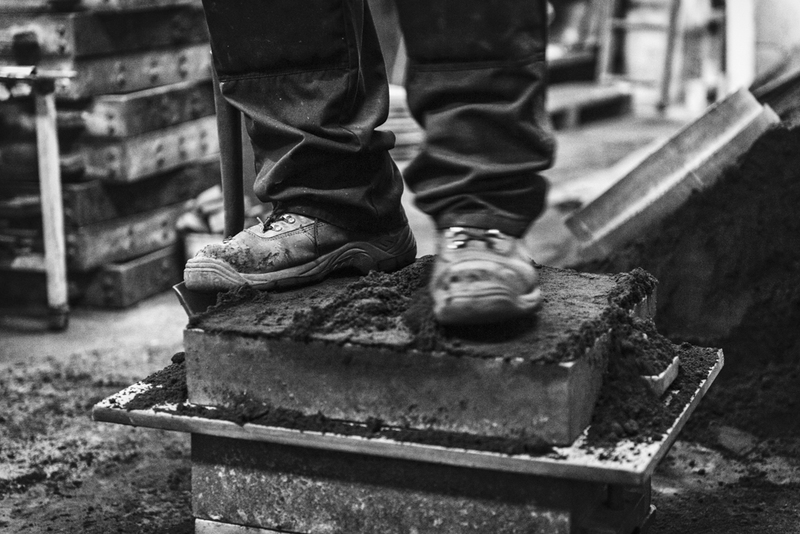 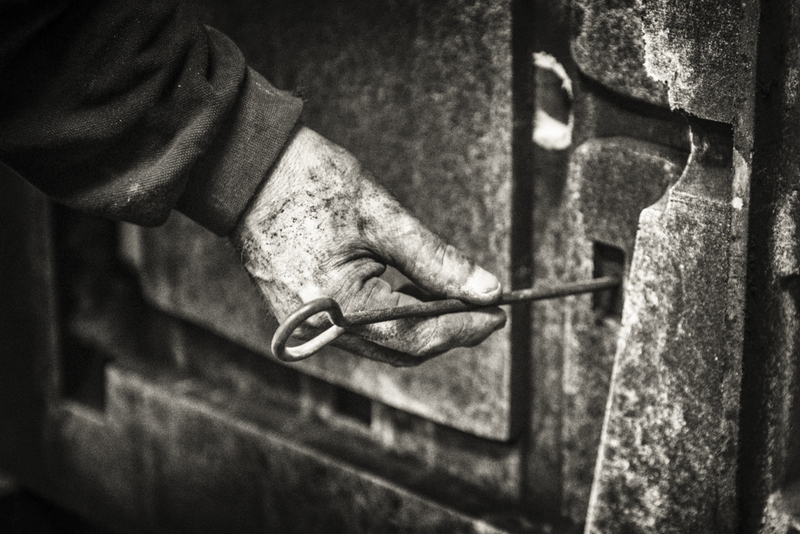 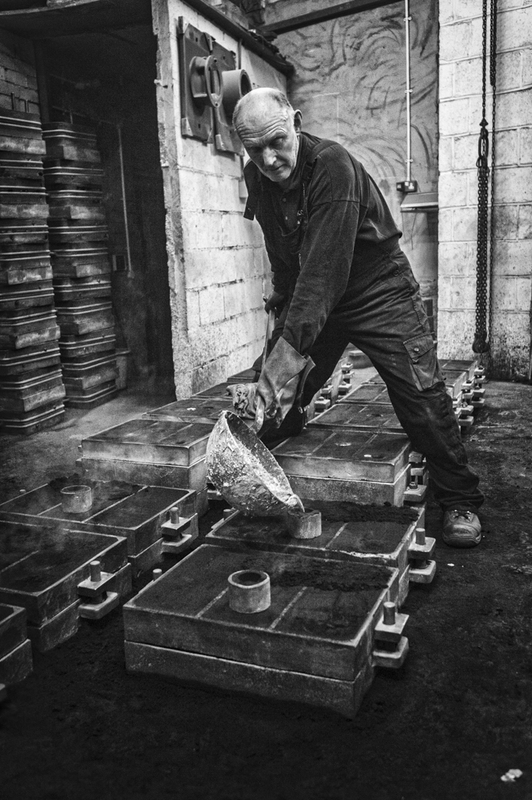 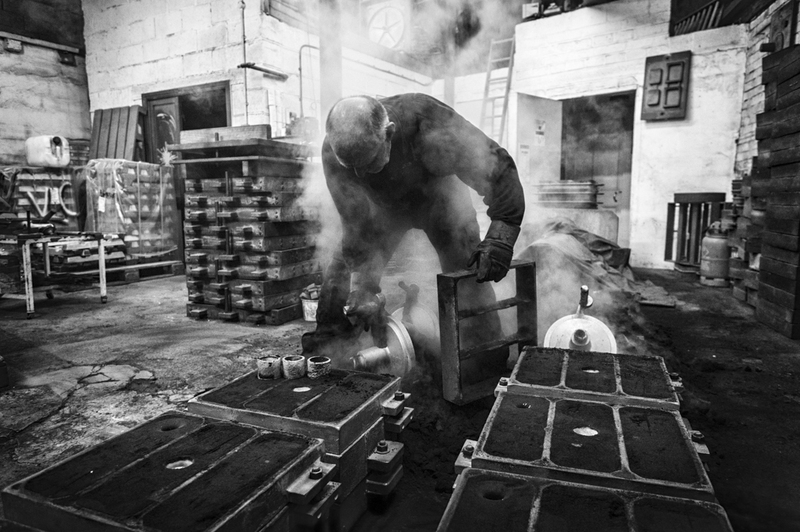 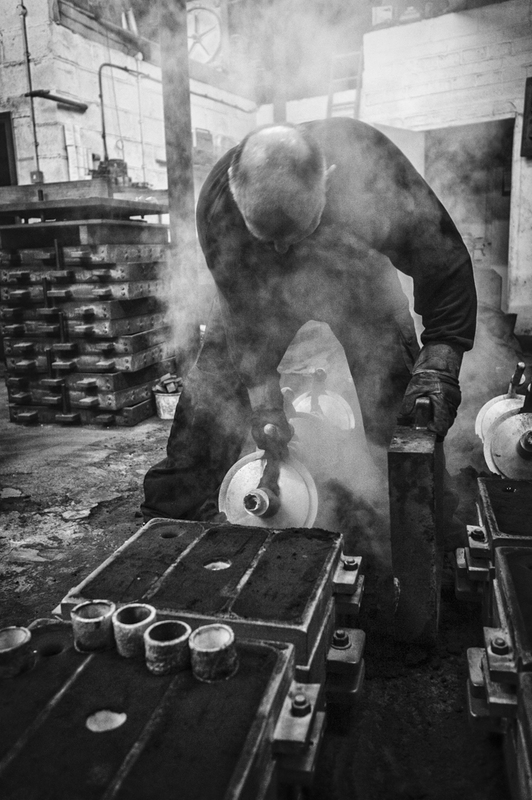 Despite being 64, he’s already at work at 6 every morning and doing the physically demanding job of moulding, casting and grinding aluminium castings. 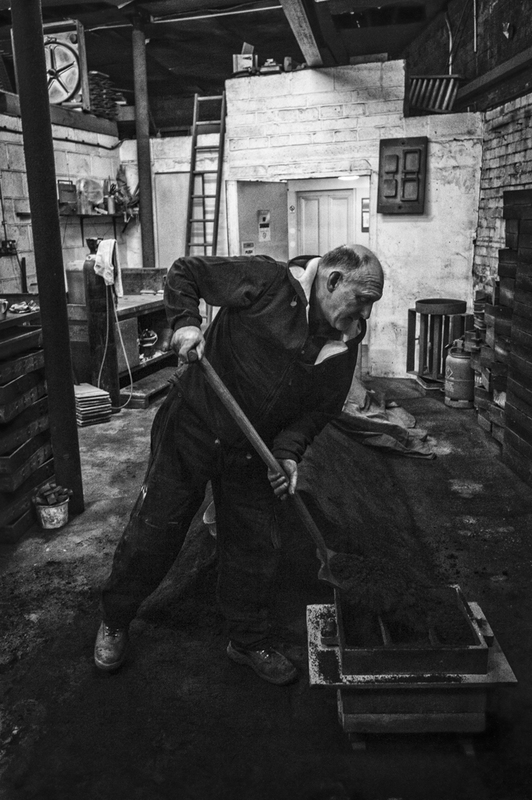 He’s had a number of back operations – you’ll notice that he spends most of his day bent over or lifting things – but is content to keep doing what he knows and loves for as long as he can.